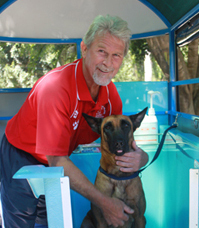 Established in 1991, Aussie Pooch Mobile brought to an Australian market a top-quality mobile dog wash and dog grooming franchise which offered franchise owners a life changing opportunity to work in the pet industry. We provide our clients with a mobile dog wash and grooming service which is efficient, convenient, reliable and affordable. 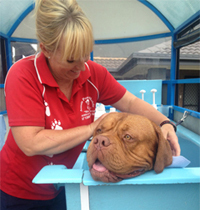 Our aim is that this service maintains and achieves your pet’s best well-being. Therefore, we also offer advice on caring for your beloved dog: pet nutrition, worming, flea and tick products, medicated dog wash and much more. 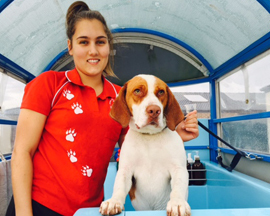 We are currently looking for like-minded individuals who share the same love of dogs, enthusiasm and drive for success to be part of our highly successful franchise network. 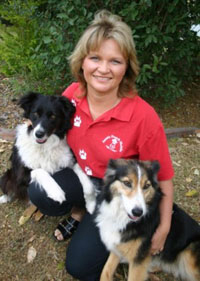 In becoming an Aussie Pooch Mobile franchise owner, you are following a tried-and-tested system where you are in business for yourself but not by yourself. As a franchise owner, you benefit from strong teamwork, leadership, proven systems, a great product and committed support to help ensure your business success. • Queensland - Cairns, Townsville, Mackay, Rockhampton, Gladstone, Bundaberg, Maryborough, Sunshine Coast (Both new and existing areas available), Gold Coast (Both new and existing areas available), Toowoomba. • New South Wales - Tamworth, Coffs Harbour, Hunter Valley, Newcastle, Central Coast, Wollongong, Goulburn, Orange, Dubbo, Wagga Wagga, Albury. If your answer is ‘yes’ to all of the above, then we would love to hear from you!